WHOLE FOODS PLANT BASED - WFPB N(o)il: WHY'D YOU DO IT KEN????? Bob started watching some of the movies that have been around, "Forks Over Knives", "Fat, Sick and Nearly Dead", "Food Inc." and then he read the book by Caldwell Esselstyn "Preventing and Reversing Heart Disease" and T. Colin Campbell "The China Study". He passed these on to me and I read them as well. Before I even finished the Esselstyn book, I started eating a 100% whole food, plant based diet and I eliminated cooking or adding additional oil to my food. That was April of 2012. Three weeks after I started the new "nutrition plan" (I don't call it a diet as I wasn't trying to lose weight) I lost 15 pounds. I felt amazing. Depression that had hung over me for years seemed to be lifting. I had a ton of energy and clothes that had been starting to feel tight, now fit (or were really loose). Three months after I started, I weaned myself (with doctor's permission) off of my blood pressure medicine, stopped taking my statin medicine for cholesterol, and, with the help of Apple Cider Vinegar and water, stopped taking Prilosec after about 10 years. My brother, his wife Janet (who was a vegetarian for years but has now adopted this program) and I are having fun figuring out how to cook and eat all over again. Even Janet's mother, who was a huge skeptic, has gotten on board. We make our own whole wheat bread, hummus, potato chips, tortilla chips, mayonnaise, refried beans, burgers, onion rings...even pesto, all oil free and 100% plant based. By the fact that I'm not cooking for my friends the way I used to, and how different my brother and I look, we get asked a lot how we did and continue to do it. I don't proselytize about my new way of eating....I only talk about it if asked. But for those that ask, I'll try and blog some of our discoveries or thoughts as I go along. PS -FEEL FREE TO LEAVE COMMENTS, QUESTIONS AND SUGGESTIONS IN THE COMMENT SECTION BELOW. I WILL ANSWER THEM AS FAST AS I CAN. I love your blog. I have been a vegan now for 7 weeks and have lost 9 lbs. I would like to know about your vinegar regimen for acid reflux. This nutrition plan is great even tho I do miss cheese a lot. I sure look forward to your future postings on your blog. Hi, and thanks for your comment. What I did was add a tablespoon of Bragg's Organic Apple Cider Vinegar to 8 oz. of water and drink the entire amount before a meal or if you're starting to feel the reflux. The theory is that Apple Cider Vinegar is Alkaline and you're trying to get your body to become more alkaline than acidic. Also, eating a large tablespoon of organic honey when you're having a reflux episode knocks it out immediately. It only took about a week for me to wean myself off of the Prilosec. One of the side effects of years of Prilosec is that your body cannot easily absorb calcium and people become calcium deficient. this is great... I read Esselstyn's book about 3 years ago. Same thing happened to me as you. A friend my age died of massive heart attack at 59y/o on Xmas day, a friend a year younger than me...58 had bypass surgery and my business partner had 2 stints put in. For 8 months I was eating on the Esselstyn plan but fell off when I had gallbladder surgery. In July of this year I got back on the plan and talked a couple of chef friends to join me. There are five of us and every monday we have a potluck. The support and creativity really helps keep us eating this way. We have recently discovered your blog and are loving it. Thanks so much for your comment. It's nice to hear from other people that are venturing on this journey. It's good to hear that you have people around you that you get together with to brainstorm. It's not that it's a tough regimen, it's that there are so few options in restaurants and with friends that aren't on the plant based diet, you're constantly fending for yourself. I went to a party recently that had 7 different kinds of soup, none of which I could eat. I ended up eating celery and carrot sticks and whole wheat, oil free bread. I intended to bring my own food to but ran out of time while dealing with yet another relative in the hospital. Keep up the good work and thanks for your input. Hi Ken, I follow the oil free vegan diet also. I have a question for you. Is it okay to brush your teeth with toothpaste that contains oil? I heard Dr Esselstyn interviewed on the radio in 2011 and thought that sounds too hard. But in January 2012 over the summer break the interview was repeated. The interviewer was going on about moderation and surely a "LITTLE" bit couldn't hurt and Dr Esselstyn said Why would you want at "LITTLE" heart attack? Not sure why but that stuck in my head, I borrowed his book and the China Study from the library. 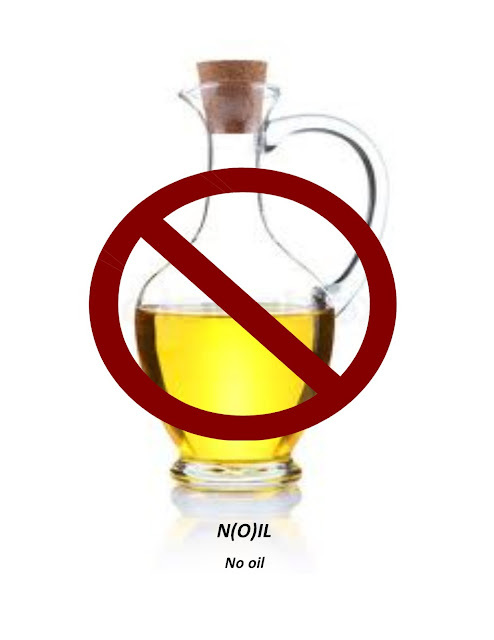 I completely eliminated animal products from my diet within a couple of weeks but have struggled with the no oil. I lost 22 pounds last year. Most of my support, recipes ideas, etc come from online and books as I haven't been able to convince those close to me to change their lifestyles too. It's difficult at first trying to explain to people about why you're doing this plan. I don't tell people anything unless they ask. Everyone knows that certain things aren't good for them yet they still eat them. You're just making decisions about your eating that will make you feel better and attain great health. When I make food for people they know they're not going to get meat or dairy, but they're game to try it. My brother and sister in law both eat the whole foods way, but they still make separate food for the 3 boys which makes it challenging. All you can do is change yourself and others will just have to respect your choices. Going to other people's houses is a challenge so I either bring my own food, and ask them if it's alright to do that, or I eat before I get there and just have salad or vegetables when I'm there if they have them. When I go out to eat I try and find restaurants that will have food that I can eat. If I'm going to a special restaurant that someone specifically asks for on a birthday or anniversary, I will call ahead and speak to the chef. Most chef's will prepare something for you if you phone ahead and many restaurants are including vegetarian or vegan choices that you can ask them to change to fit your diet. Thank you so much for what you are doing! I am a doctor feeling powerless against industrialized food. I started a FOK library in my clinic because medications are essentially useless- I wish there was an equally inspiring documentary explaining how to read food ingredients. Why do BAKED Doritos contain MSG? MSG makes us fat! Thanks for stopping by. I can't fathom why we are taught to use so much oil when we eat. My goal is to take classic things we enjoy and cut out the oil. When I teach people in my cooking classes they can't believe I can sauté without oil. I laugh when I read labels now and see the unnecessary ingredients that add nothing to the end product other than preservatives. Thank you Ken for sharing your journey and recipes with us! I have been plant-strong for almost a year now. Your recipes are wonderful and I am looking forward to making many of them. I would love to see you set up a page on Facebook! I added you to my Google+ but I don't go there very often. Hello and thank you for your comment. I do have a Facebook Page https://www.facebook.com/pages/Oil-Free-Vegan/170652256392143 but I haven't found that it's been too successful as far as people liking it and commenting.